Court Case to safeguard the rights and well-being of the residents of Mount Lavinia who are affected by large scale unplanned, unauthorized and unlawful construction activities in the area and the negative impacts thereof. Highrise condominium complexes are mushrooming in urban areas of Sri Lanka, especially in the City of Colombo and its suburbs. Mount Lavinia, a western coastal town within the Municipality Limits of Dehiwala - Mount Lavinia in the outskirts of Colombo is also feeling the weight of condominium complexes. Most of these condominium complexes are unplanned and unauthorised and place severe strain on the common utilities and public resources such as water, electricity supply and sewage and garbage disposal facilities in an area. Further, apart from problems pertaining to light and ventilation, they also give rise to traffic congestion inconveniencing the neighbouring residents and future occupants of the condominiums. The Municipality area of Dehiwala- Mount Lavinia has been declared as an Urban Development Area in terms of the Urban Development Law and the said law empowers the Urban Development Authority (UDA) to prepare Development Plans for Urban Development Areas. The UDA has made a development Plan for Dehiwala- Mount Lavinia Municipality area incorporating inter alia requirements pertaining to the zoning of land and planning and building requirements. Strict adherence to the zoning, planning and building regulations as per the said Development Plan is required when constructing buildings within the Dehiwala -Mount Lavinia Municipality area. The Planning and Building regulations for the aforesaid area contain inter alia several building specifications with regard to minimum extent of land, maximum number of floors, minimum road width, minimum width of plots and plot coverage ratio, etc. The UDA and the Municipal Council are responsible in approving buildings. Issuance of preliminary clearance, approval of plans and issuance of certificates of conformity for constructions in excess of ground plus three floors and in respect of condominiums are done by the UDA while the constructions below the said specifications are handled by the Municipality. The condominium in question is a seven-storied building on a land of 19 perches in a road with a width of less than 6 meters. The Dehiwala- Mount Lavinia (DMMC) Municipal Council has issued a building permit to the developer permitting a building with ground plus six floors in the aforesaid land. This is a violation inter alia of the several specifications with regard to minimum extent of land, maximum number of floors, minimum road width, minimum width of plots and plot coverage ratio, etc contained in the Planning and Building Regulations for Dehiwala- Mount Lavinia Municipality area. 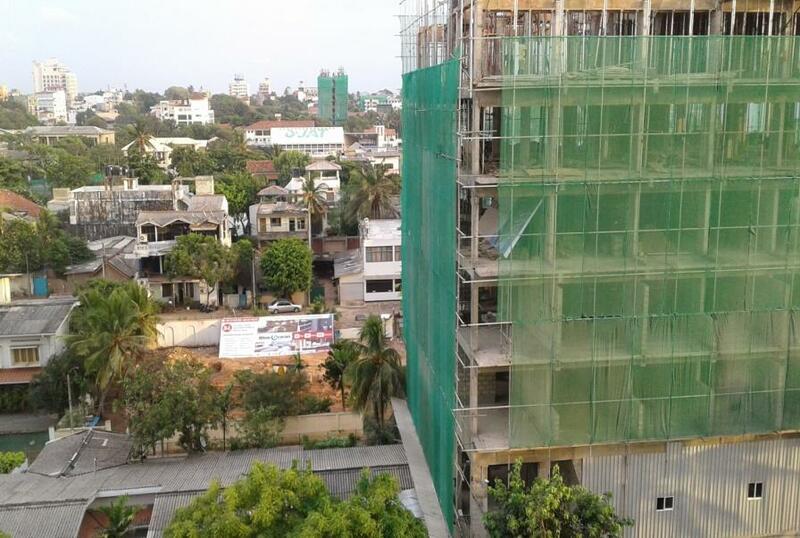 This unauthorized condominium complex that is being built at Lilian Avenue, a residential area in Mount Lavinia is adversely affecting the neighbouring residents. The said residents together with residents of other areas of Mount Lavinia have formed an association named the Mount Lavinia Residents’ Association (MLRA) with the primary objective of safeguarding the rights and wellbeing of the residents of Mount Lavinia in view of large scale unplanned, unauthorized and unlawful construction activities in the area and the negative impacts thereof. The MLRA has challenged the legality of the aforesaid construction at Lilian Avenue and the permission granted for the same by filing a writ application (No.CA WRIT 421/2017) in the Court of Appeal of Sri Lanka. Project Details In the instant case, the developer has been given permission to build a condominium complex at Lilian Avenue, Mount Lavinia in violation of the Zoning and Planning and Building Regulations applicable to Dehiwala- Mount Lavinia. Development of Alternatives Through the writ application the Petitioners seek inter alia to quash the building permit and other approvals issued to the developer.